With so much history in the UK, it’s hardly surprising that there are many spooky stories of ghostly sightings, legends and appearances in buildings that have stood for many centuries. 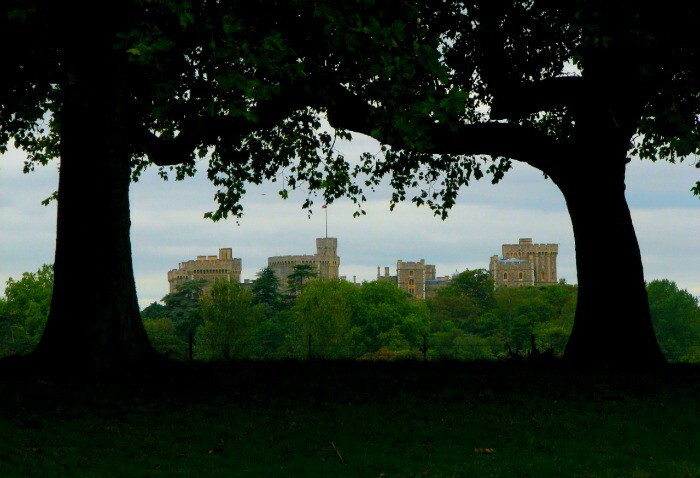 Britain’s castles and royal residencies are no exception, with sightings taking place regularly over the years and members of the royal family, including Her Majesty The Queen herself being among the ghost spotters! 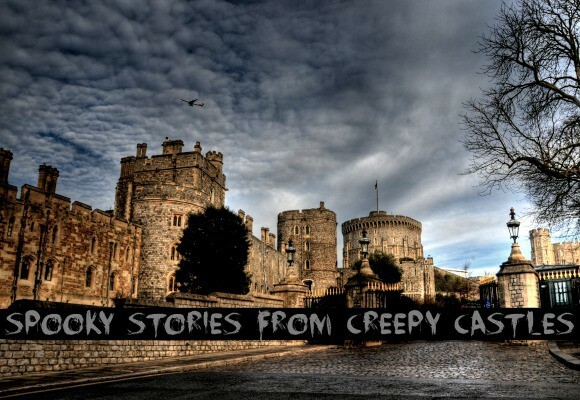 Read on to find out which is the most haunted castle in the UK. Although many of the ghosts that haunt castles and palaces are famous monarchs themselves, the most famous ghost at Hampton Court is a humble servant. The Grey Lady of Hampton Court roams The State Apartments and is thought to have been a Tudor servant who nursed Elizabeth I when she had smallpox. She contracted smallpox herself and died of the illness and now walks around the apartments, spooking those who come across her! Hampton Court also has a Haunted Gallery, in which many ghosts allegedly roam, including a couple of Henry VIII’s wives. Jane Seymour has been spotted wandering around, wearing a white robe and carrying a candle on 28th June – Henry VIII’s birthday. Seymour was the only one of Henry’s wives to receive a Queen’s funeral, perhaps this is why she still holds a candle for him. 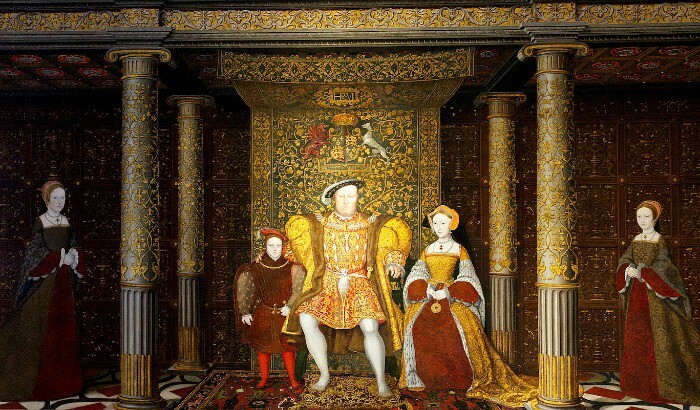 Catherine Howard, another of Henry’s wives is said to have been heard screaming and pleading for her life in the Haunted Gallery – she was imprisoned at Hampton Court for committing adultery before being brought to the Tower of London to be executed. Legend has it, that the night before she was beheaded, she spent the whole night practising laying her head on the chopping block – if it’s the last thing you’re ever going to do, you might as well do it with style! It was in Windsor Castle that Her Majesty The Queen and Princess Margaret both reportedly came across some ghostly happenings! Queen Elizabeth I has been sighted by our current queen and her sister, rumour has it that first the tapping of her heels is heard, then she appears in all her glory. Maybe Elizabeth I wanted to say hello to Elizabeth II? Henry VIII is also said to walk around the cloisters of Windsor Castle, the spooky, uneven footsteps that can be heard is said to be the former king dragging his bad leg, an injury from a jousting accident that plagued him for the rest of life. King George III is another king who didn’t want to leave Windsor Castle when he died – he suffered bouts of mental illness and was often confined to The Royal Library – some have spotted him staring out the library window – spooky! A particularly terrifying story at Windsor Castle is the rumour of a demonic horned being that brings death and disease to all that see it – we hope you don’t come across that one when you visit! 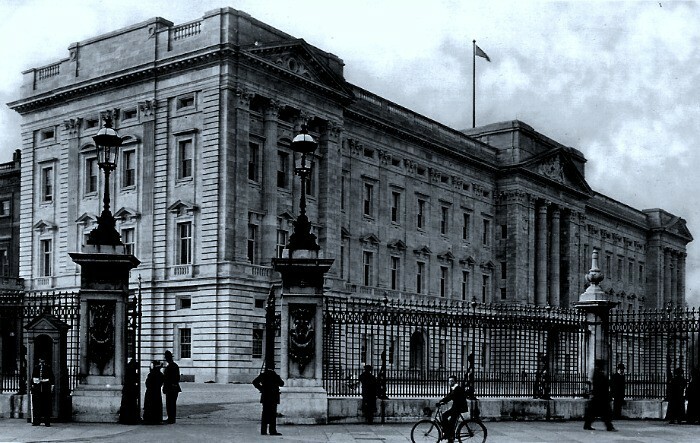 There are two fabled ghosts that walk the grounds of the Queen’s London residence. The first is a monk draped in a brown cowl who walks the rear terrace at night (there was once a monastery on the site of the palace) and the other is Major John Gwynne, the Private Secretary of Kind Edward VII. He couldn’t cope with the social shame of his divorce and shot himself in the head in the first floor office, which also happens to be the place he has been sighted. 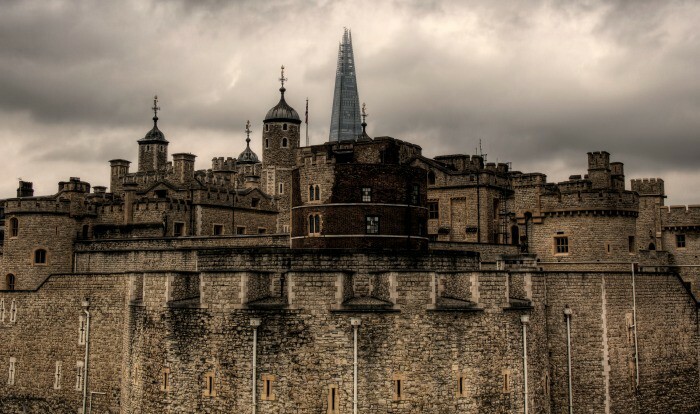 The Tower of London was the gruesome location of many executions, so it makes sense that some of the dead would hang around to spook visitors to the castle! Anne Boleyn, a beheaded wife of Henry VIII has been spotted strolling around the grounds, carrying her own head! More bizarre than your average spectre, there is said to be a ghostly bear that appears sometimes in the Martin Tower. One day the bear appeared and shocked a guard so badly, he died of fright! Perhaps the scariest story that is told at the Tower of London, is the tale of Prince Edward V and his brother the Duke of York. 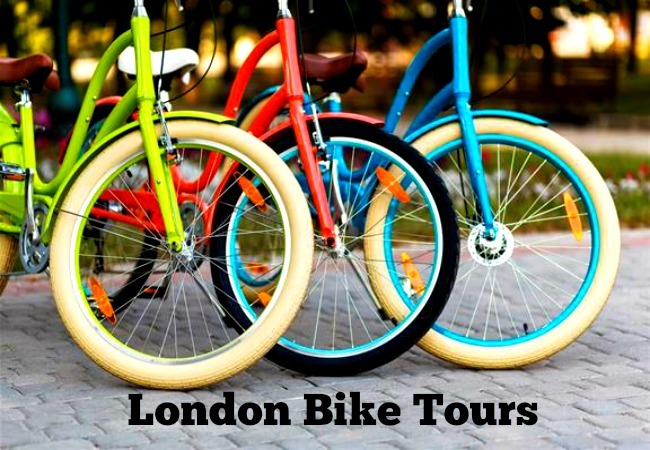 The pair were declared illegitimate by the government in 1483 and were imprisoned in the Tower of London. They disappeared completely with no trace of a death certificate or funeral. Two sets of bones were discovered under the White Tower staircase in 1674 and their ghosts are said to haunt the Bloody Tower – how chilling! There are so many ghost stories around the Tower of London, we think it gets the award for the most haunted castle in the UK, so plan your visit so you can go along and spot one of the many spectres that haunt the grounds! Images from Craig, Paul Hudson, Vince Wingate, Leonard Bentley and Neil Howard via Flickr.